Java Card tech provides a secure environment for applications that run on smart cards and other devices with very limited memory and processing capabilities. Multiple applications can be deployed on a single card, and new ones can be added to it even after it has been issued to the end user. Java Card refers to a software technology that allows Java-based applications (applets) to be run securely on smart cards and similar small memory footprint devices. Java Card is the tiniest of Java platforms targeted for embedded devices. Java Card gives the user the ability to program the devices and make them application specific. 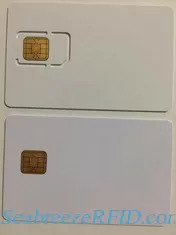 It is widely used in SIM cards, Banking IC cards, various ID cards etc. Java Card is an industry-standard technology platform that was developed by Sun Microsystems (now Oracle) to enable Java-based applications - applets - to run on smart cards that support this standard. 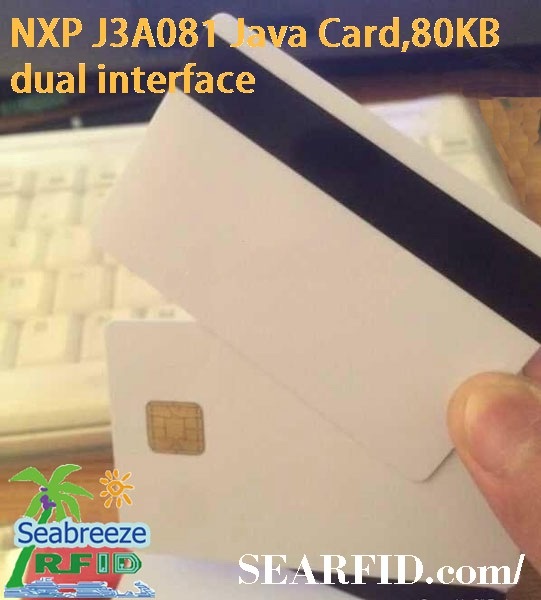 We SeabreezeRFID proudly provides following Java based smart card chips and even final cards with personalized. 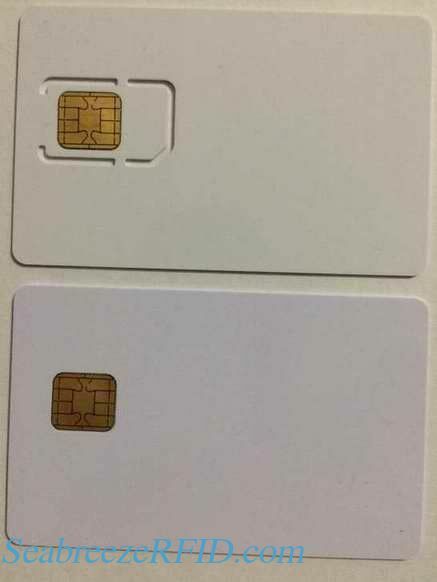 The chip forms cover from Contact, Contactless and Dual Interface. Standard Compliance ISO 14443-1 compliant, etc. Contact CPU card chip: J2A040, J2A080, etc..
Dual interface CPU card chip: J3A041, J3A081, etc..
P5 series: P5CD012, P5CD020, P5CD040, P5CN080, P5CD128, P5CD145, etc..
P6 series: P60D024, P60D040, P60D080, P60C040, P60C080, P60C144, etc..